The Church of Jesus Christ of Latter-day Saints is uniquely empowered and commissioned to accomplish the necessary preparations for the Lord’s Second Coming. Some time ago in Buenos Aires, Argentina, I participated in a conference with leaders from a wide variety of religious faiths. Their love for their fellowman was unmistakable. They were intent on relieving suffering and helping people rise above oppression and poverty. I reflected on the numerous humanitarian undertakings of this Church, including projects in collaboration with a number of the faith groups represented in the conference. 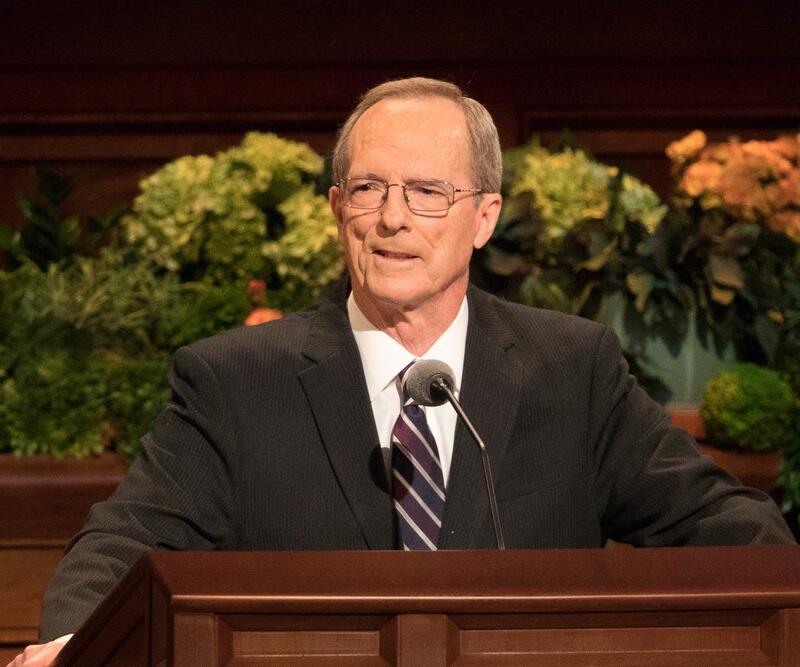 I felt deep gratitude for the generosity of the members of The Church of Jesus Christ of Latter-day Saints that makes such Christlike service possible. In that moment, the Holy Spirit affirmed two things to me. First, the work of ministering to temporal needs is vital and must continue. The second was unexpected, yet powerful and clear. It was this: beyond selfless service, it is supremely important to prepare the world for the Second Coming of the Lord Jesus Christ. So yes, let us do all we can to relieve suffering and sorrow now, and let us devote ourselves more diligently to the preparations needed for the day when pain and evil are ended altogether, when “Christ [shall] reign personally upon the earth; and … the earth will be renewed and receive its paradisiacal glory.”6 It will be a day of redemption and judgment. The former Anglican Bishop of Durham, Dr. N. T. Wright, has aptly described the significance of Christ’s Atonement, Resurrection, and Judgment in overcoming injustice and putting all things right. 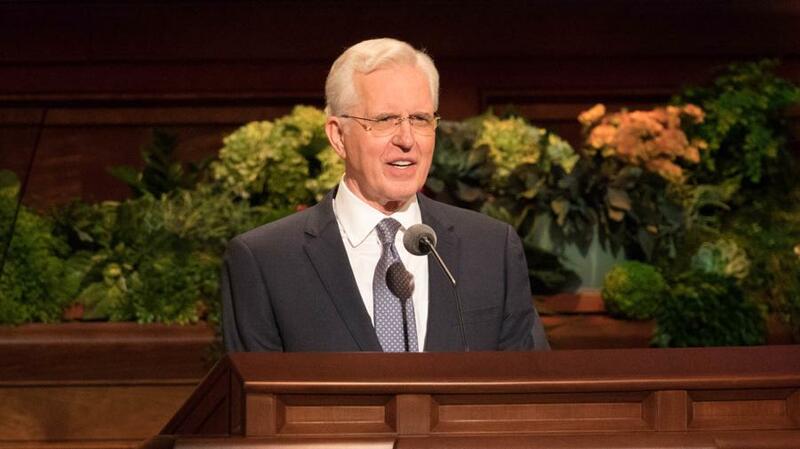 While I was at the conference in Buenos Aires that I mentioned earlier, the Spirit made clear to me that The Church of Jesus Christ of Latter-day Saints is uniquely empowered and commissioned to accomplish the necessary preparations for the Lord’s Second Coming; indeed, it was restored for that purpose. Can you find anywhere else a people who embrace the present era as the prophesied “dispensation of the fulness of times,” in which God has purposed to “gather together in one all things in Christ”?8 If you don’t find here a community intent on accomplishing what needs to be accomplished for both the living and the dead to prepare for that day, if you don’t find here an organization willing to commit vast amounts of time and funds to the gathering and preparation of a covenant people ready to receive the Lord, you won’t find it anywhere. What can we do to prepare now for that day? We can prepare ourselves as a people; we can gather the Lord’s covenant people; and we can help redeem the promise of salvation “made to the fathers,” our ancestors.10 All of this must occur in some substantial measure before the Lord comes again. 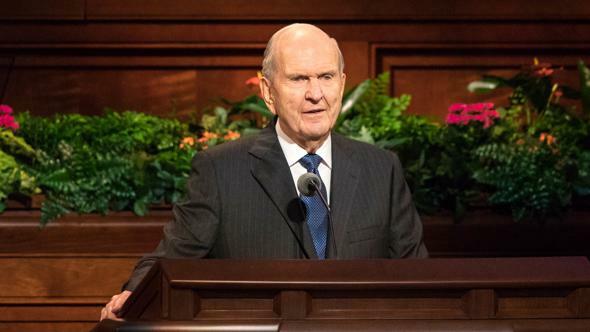 President Nelson has repeatedly emphasized that the “gathering [of Israel] is the most important thing taking place on earth today. Nothing else compares in magnitude, nothing else compares in importance, nothing else compares in majesty. 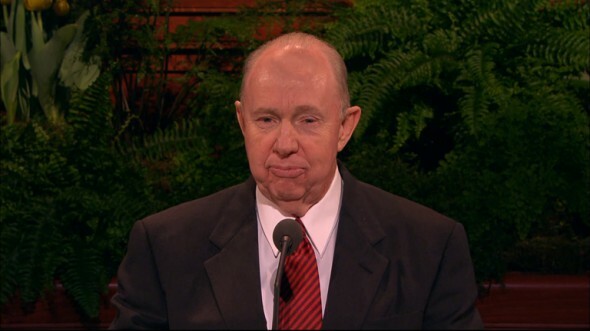 And if you choose to, … you can be a big part of it.”29 The Latter-day Saints have always been a missionary people. 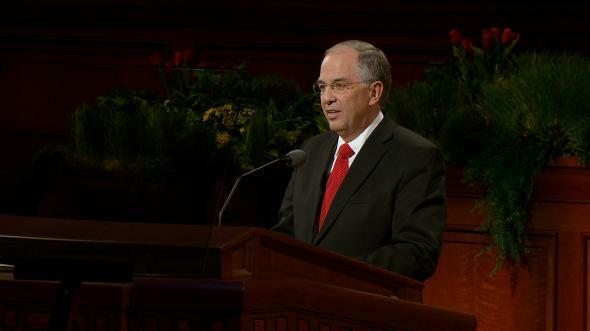 Hundreds of thousands have responded to mission calls since the beginning of the Restoration; tens of thousands currently serve. 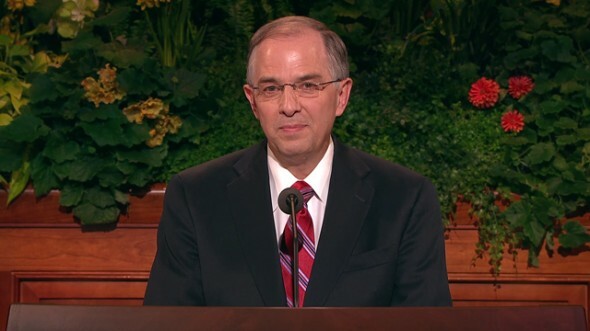 And, as Elder Quentin L. Cook has just taught, all of us can participate in simple and natural ways, in love, inviting others to join us at church, visit in our homes, become part of our circle. Publication of the Book of Mormon was the signal that the gathering had begun.30 The Book of Mormon itself is the instrument of gathering and conversion. 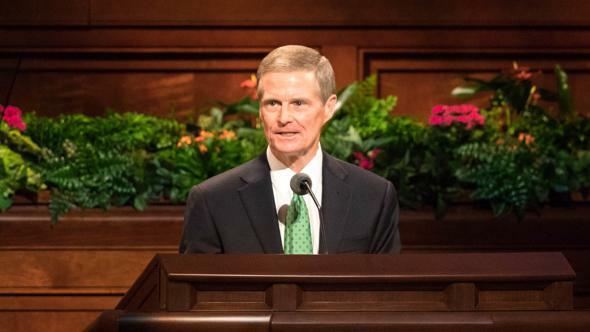 At the youth devotional preceding the dedication of the Rome Italy Temple, the hundreds of young men and women in attendance displayed to President Nelson the cards they had prepared with names of their ancestors. They were ready to enter the temple to perform vicarious baptisms for those ancestors as soon as it opened. 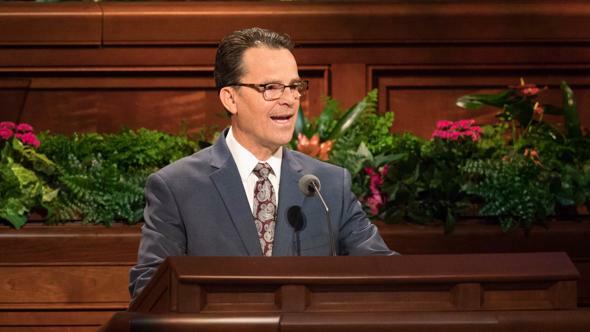 It was a supremely gratifying moment, yet but one example of the accelerating effort to establish Zion for the generations that have gone before. This great and last dispensation is building steadily to its climax—Zion on earth being joined with Zion from above at the Savior’s glorious return. The Church of Jesus Christ is commissioned to prepare—and is preparing—the world for that day. And so, this Easter, let us truly celebrate the Resurrection of Jesus Christ and all that it portends: His return to reign for a thousand years of peace, a righteous judgment and perfect justice for all, the immortality of all who ever lived upon this earth, and the promise of eternal life. Christ’s Resurrection is the ultimate assurance that all will be put right. Let us be about building up Zion to hasten that day. In the name of Jesus Christ, amen. “The Living Christ: The Testimony of the Apostles,” Ensign or Liahona, May 2017, inside front cover. 2 Nephi 21:6, 9; see also Isaiah 11:6, 9. N. T. Wright, “Full of the Knowledge of the Lord” (sermon given at matins, Durham, England, Mar. 30, 2016), ntwrightpage.com. Doctrine and Covenants 65:2, 5. The scriptural record states simply, “It came to pass that Zion was not, for God received it up into his own bosom” (Moses 7:69). God declared: “And righteousness will I send down out of heaven; and truth will I send forth out of the earth, to bear testimony of mine Only Begotten; his resurrection from the dead; yea, and also the resurrection of all men; and righteousness and truth will I cause to sweep the earth as with a flood, to gather out mine elect from the four quarters of the earth, unto a place which I shall prepare, an Holy City, that my people may gird up their loins, and be looking forth for the time of my coming; for there shall be my tabernacle, and it shall be called Zion, a New Jerusalem. … And for the space of a thousand years the earth shall rest” (Moses 7:62, 64). See Doctrine and Covenants 97:21; Moses 7:18. Teachings of Presidents of the Church: Joseph Smith (2007), 186. 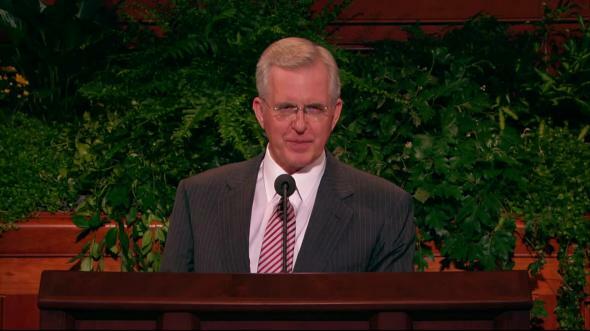 See D. Todd Christofferson, “Come to Zion,” Ensign or Liahona, Nov. 2008, 37–40. Moroni 6:5–6; see also Alma 6:5–6; 4 Nephi 1:12. 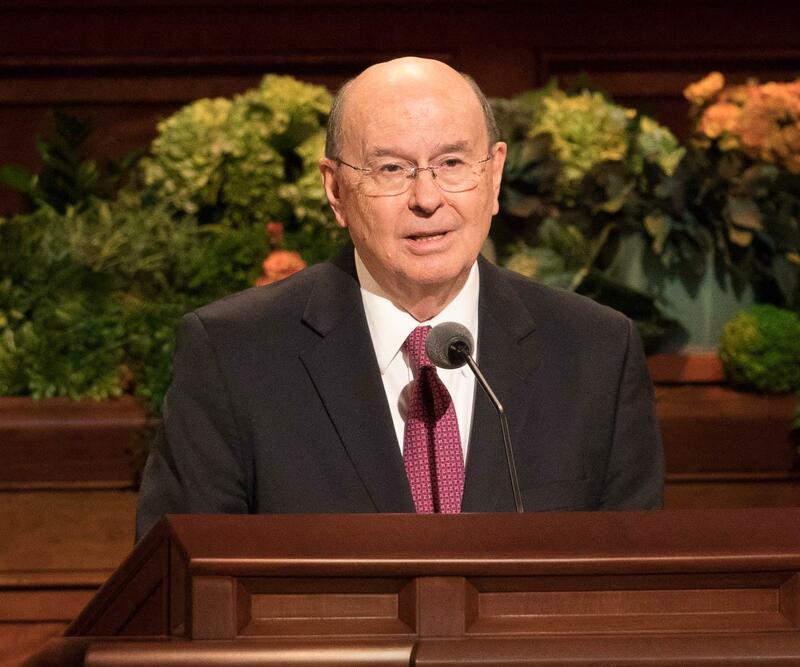 Russell M. Nelson, “Opening Remarks,” Ensign or Liahona, Nov. 2018, 7. See Jeremiah 31:34; John 17:3; Doctrine and Covenants 84:98. One by one, the elect are gathered into the stakes of Zion, “the places of [God’s] appointment” (Doctrine and Covenants 109:39; see also Doctrine and Covenants 124:36). Jeremiah 16:14–15; see also Jeremiah 23:7–8. Russell M. Nelson, “Hope of Israel” (worldwide youth devotional, June 3, 2018), HopeofIsrael.ChurchofJesusChrist.org; see also Russell M. Nelson, “Remnants Gathered, Covenants Fulfilled,” in Paul Y. Hoskisson, ed., Sperry Symposium Classics: The Old Testament (2005), 1–17. 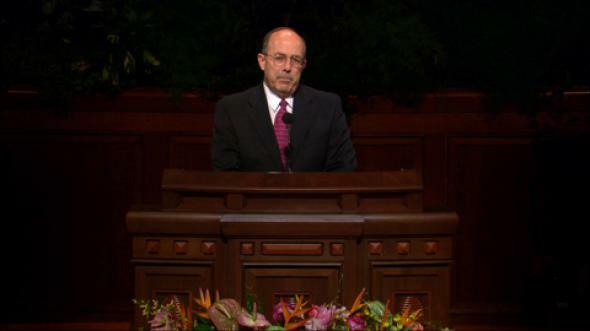 See Doctrine and Covenants 110. Doctrine and Covenants 2:3; see also Malachi 4:6. See Doctrine and Covenants 88:73.